Today's Image of Mars comes from HiRISE and shows icy flows inside in the inner slope of a Hellas Basin impact crater. HiRISE took this image when there was very little light illumination from the sun. This low illumination enhances some subtle features in the Martian terrain and makes for an extremely dramatic image. 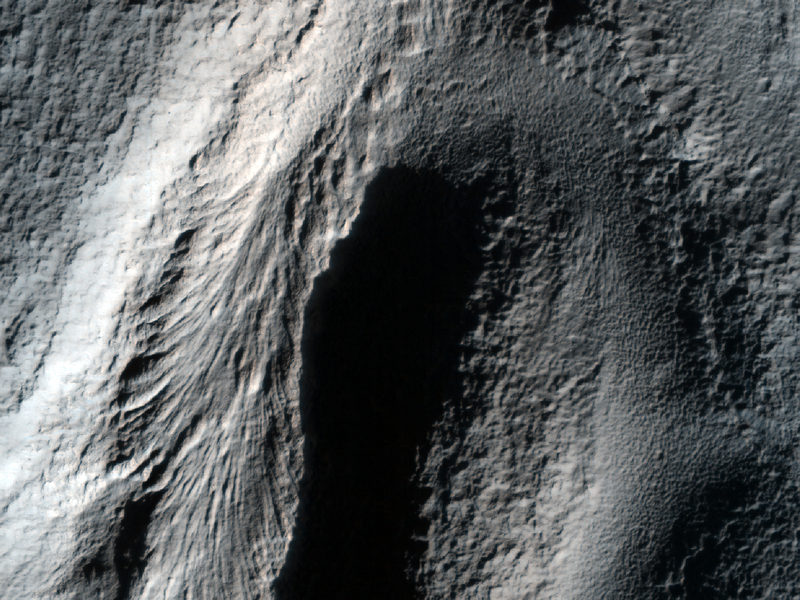 Mars Reconnaissance Orbiter has confirmed that other flows like this one in the region are are made up of ice. Icy flows like the one below could one day be used as a source of fuel and/or water for future missions to Mars.